Do you know how to put out a campfire properly? We in Australia have all seen the devastation caused by bushfires, and we can never be complacent about a fire. In summer, the need to extinguish a camp fire in its entirety is more important than ever. With so much dry vegetation, all it needs is a spark, and property and lives are placed at risk. Many fires are banned from November through to April, but that doesn’t stop people having them sometimes, especially when they feel safe, like next to a river. Regardless of the time of the year – you still need to do it properly and safely. Before you make a campfire, make sure you know how to choose the best location for a campfire (full details here). 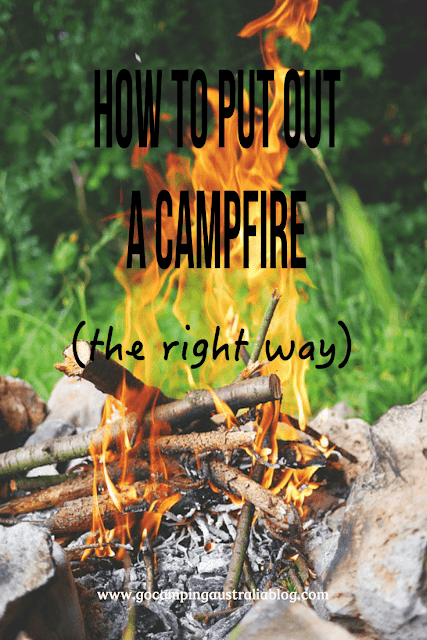 So here is a refresher for anyone who camps on how to put out a campfire. 1. Allow the fire to burn down to ash if possible. 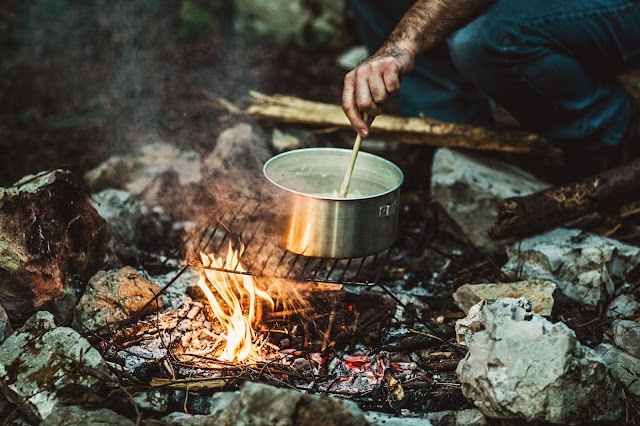 That might take a bit of “thinking ahead” – don’t throw on that extra log if you are planning on calling it a night a short time afterward or planning on leaving the campsite. With a stick or shovel, separate the wood from the charcoal to help slow the fire down. 2. Slowly sprinkle water on the fire, including embers. Do this carefully as pockets of air could cause the fire to hiss and spit and you. If there is a lot of smoke – just wait a little, and try again. 3. Keep adding water until the hissing stops. You want everything in the firepit wet. 4. With a shovel, stir the embers and ash so everything in the fire is damp/wet. 5. If you do not have enough water for points 2-4, you need to use dirt or sand. You are trying to suffocate the embers, depriving them of oxygen. Water is the best method though. 6. Final check to see if that fire is really out. If it's cool to touch, then it's safe to leave. Now obviously, you are not going to stick your hand in the ash and see if it burns your hand, because that would be dangerous and not clever. If you can feel heat resonating from it as you have your hand lowered over the ash - but not touching it - then it's still warm. Poke a stick in the embers and see if you see any bright spots when you stir the ash. If it's warm or there are embers, add more water/dirt to cool it right down. Sitting around a campfire is definitely a highlight of camping. But it’s important for you, me and everyone, to know how to safely put out a fire, so the parks and forests remain bushfire free. This story was first published in 2014, and has been updated for accuracy and comprehensiveness.